Recommended for turists, balikbayan/bakasyonistas, starting couple, young proffesionals/call center agents, students. 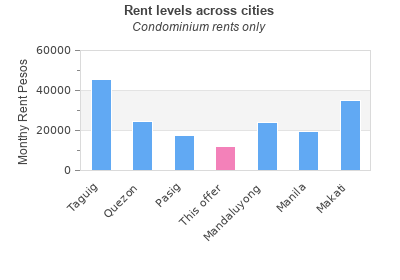 -VERY NEAR C-5, TIENDESITAS, MEGAMALL, SHANGRI-LA PLAZA, ROBINSONS GALLERIA, METROWALK, SM HYPERMART, AIRPORT, MEDICAL CITY, MERALCO MAIN OFFICE, ROCKWELL BUSINESS CENTER, EASTWOOD CITY/LIBIS, WET MARKETS, RESTAURANTS, GIMIK HUBS and other establishments. Few minutes away from Makati, Fort Bonifacio and Ortigas Center. -Newly opened restaurants such as Yellow Cab and other establishments within the vicinity of Hampton Gardens. -Types of transportation: JEEPNEY, FX, TAXI AND TRICYLE. -Very secured! With 24 guarded gates, and roving guards, 100% FLOOD FREE! You searched for Hampton Gardens Condominiums Pasig City and this page shows the full details of this accommodation to let. This Condominium is located in Maybunga in Pasig. This property has 100 bedrooms, 1 bathrooms and the rent is PHP 12000 monthly. This accommodation for rent was last updated on 2014-09-25 18:37:32. The classified has been displayed 3388 only today. 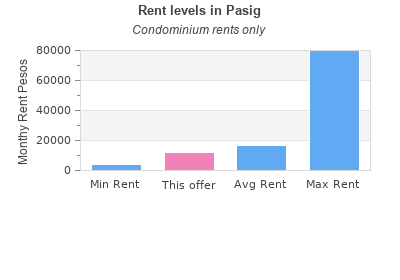 You can see other lettings in Pasig. CAMBRIDGE VILLAGE CONDO IN PASIG , NO DOWNPAYMENT! 10K RESERVATION FEE! FOR SALE! !